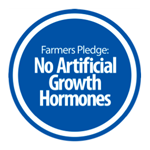 You Ask, I Answer: Farmers’ “No Bovine Growth Hormone” Pledge? I see this verbiage on my milk carton and it seems very vague. The word ‘pledge’ implies to me that they may or may not do what is stated above. I’m interested in your input. In the overwhelming majority of cases, farmers who pledge not to use recombinant bovine Somatotropin (rbST)/ recombinant growth hormone (rBGH) sign legal affidavits that are kept on file by the respective companies they provide milk to. In the vast majority of cases, though, this is done via an honor system. There is no formal inspection process. Two thumbs up to the French. One prominent threat is gene transfer, also known as outcrossing. This entails genetically modified seeds “cross-breeding” with non-genetically-modified crops as a result of something as simple as pollen spreading due to wind or animals. Apart from the impact this has on the stability of flora in any given environment, unfortunate financial repercussions are felt by farmers. There are cases of farmers in Canada being sued by — and losing to — Monsanto after the company’s patented genetically modified rapeseed seeds blew over onto their property. The most famous case — Monsanto Canada v. Schmeiser — is excellently summarized by Wikipedia. Remember, Monsanto is the same agricultural biotechnology company that produces recombivant bovine growth hormone. Europe is generally less tolerant of genetically modified foods than the United States. In fact, milk containing rBGH is banned in the Old Continent. Let’s finish off this post with some humor. Here is a funny — but true! — tidbit from 2000 about a Monsanto cafeteria in British Columbia proudly advertising the absence of genetically modified soy and corn in their food. The New York Times‘ Andrew Martin penned a fascinating piece on the inner workings of the Burger King machine. If we let figures do the talking, they tell us that the suits at BK are doing something right when it comes to finances and popularity among their target demographic. Their stock has crept up 32 percent over the past twelve months, too. Too bad their practices are nothing to write home about. Case in point? “When McDonald’s… agreed to pay farm workers in Florida a penny more per pound to pick tomatoes, Burger King dug in its heels and refused,” Martin reveals. Meanwhile, The Portion Teller Plan author — and New York University adjunct faculty member — Dr. Lisa Young points out some of their nutritionally hideous items. As Dr. Young explained in a self-penned article for MSNBC.com last October, “Hardee’s, Burger King and Wendy’s all have introduced 1,000-calorie-plus sandwiches stuffed with 12 ounces of beef — the amount of meat recommended for two days for most adults” over the past few years. Martin explains that McDonald’s ended up bearing the majority of the brunt after fast-food documentary Supersize Me unveiled the murky world of fast food. Burger King continued selling monstrously large items with little criticism or media scrutiny. And who can forget this heinous 2006 television commercial for their Texas Double Whopper? It’s time for another round of “ground beef recall“! You guessed it — E.Coli 0157:H7 has reared its ugly head once more. This, by the way, is the same strand that, back in 1993, caused the death of 4 children who consumed contaminated meat at fast food giant Jack in the Box. How do these outbreaks happen? It’s quite simply, really. Any healthy-looking cow can carry E.Coli in its intestinal tract. 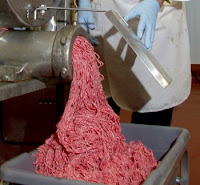 Once the animal is slaughtered and its meat is ground up, E. Coli germs intermingle with it and, voila, E.Coli-infested beef is shipped off to your local grocery store. To make matters more difficult, E.Coli-infested beef does not look, taste, or smell “funny”. This is why cooking beef to an internal temperature of 160 degrees Fahrenheit is crucial (it kills any living organisms). Additionally, be sure to use separate cutting boards for meat and vegetables so as to not cross-contaminate your raw salad greens with any bacteria present in raw meat. Of course, on a much larger scale, if our food production system was better regulated and not hell-bent on accruing profits while jeopardizing cattle and human health, we wouldn’t be constantly facing these outbreaks. Not only are cows in feedlots practically living on top of one another (significantly increasing the spread of disease among a single population), they are also on a completely unnatural corn diet, which appears to increase their chances of contracting E.Coli 0157:H7 (the corn diet makes for a more acid stomach environment, which the E.Coli strain loves). I believe the personal is often the political. Our hard-earned dollars are an extremely powerful vote. If you choose to eat meat, purchasing local organic grass-fed beef (if within your price range) can help bring some peace of mind to your health and support more natural and sustainable practices. The controversial new study published in the Journal of the American Medical Association has the blogosphere talking. Here is Marion Nestle’s brief, yet illuminatingly concise, take on the entire thing. By the way, Marion’s 2002 book Food Politics is out on paperback with a new foreword. 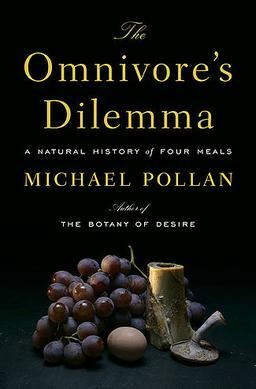 More than ever, it is a relevant, eyebrow-raising look at the rampantly absurd state of food marketing, consumption, and confusion in the United States. Highly recommended! At the recent screening of King Corn I attended, three of the people involved with the documentary (the editor, director, and one of the two creators) held a question and answer session with the audience. Armed with my trusty notebook, I raised my hand. My question — and their answer — follows. ME: “[In the film, we don’t see any organic farming.] Did you come across any farmers [in Iowa] who grew organic crops? How do some of the farmers you spoke to feel about using pesticides on their crops? Do you know of any physical side effects from using these chemicals? KING CORN “CAST”: We absolutely saw a lot of people doing organic farming. We shot 500 hours of film and had to condense it to 82 minutes, so you can imagine all that was left out. The issue of pesticides and chemicals used in farming is of huge concern to us. I don’t know if you’re aware of this, but there is a 60 mile “dead” zone in the Gulf of Mexico where the water is completely deprived of oxygen. No life can grow or live there, and it’s because of runoff — waste water and fertilizer runoff — that travels down from farms in the Midwest. It’s terrible what these agricultural chemicals do. The impact goes beyond the immediate area around the farm, or even whoever ends up eating whatever is grown on that farm. From our research, it seemed that many of the women who farmed and were exposed to some pesticides and chemicals developed Non-Hodgkins lymphoma. This stuff can’t be good for you if you are literally surrounded by it every day. By the way, there’ s a great organization called the Practical Farmers of Iowa. They’re doing some really great stuff. They want to help farmers transition towards diversifying their crops and make them more profitable, and they are also interested in ecological preservation and keeping farming as an earth-friendly practice. 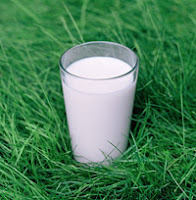 What is the impact of Omega-6 fatty acid [from a cow’s diet] on [the milk it produces]? In a recent post , I explained that corn-fed cows’ meat contains higher levels of unhealthy fats than that of their counterparts who munch on grass all their lives. A similar concept occurs with milk, except this time around, as you’ll soon find out, corn-fed cows’ milk is LACKING an important nutrient. This is one of the main reasons why many people are starting to specifically look for commercial milk that comes from grassfed cows. Caution! Simply buying “organic” milk does not guarantee the cows that produce it have been subsisting on the green stuff all their life. Be sure to look for the words “grass-fed” on the container. The current research on CLA is promising. Several studies have shown promising links between its consumption and cancer cell growth inhibition as well as lowering of triglyceride levels and even a boost in the immune system. Milk from corn-fed cows is not only lacking CLA, it is also the byproduct of a body that has taken in copious amounts of antibiotics and hormones. If it fits within your budget, I would recommend purchasing milk from grass-fed cows. In many countries, this is the only milk they know, as the notion of having cows eat corn and antibiotics all day seems not only bizarre, but also unhealthy. I completely agree. * The average farmer in Iowa owns 1,000 acres of crops (corn being the overwhelming majority). 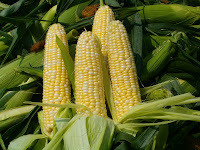 * Each acre of corn contains 31,000 kernels. 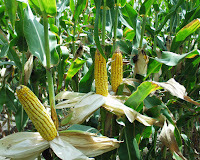 * Each acre of corn produces 5 TONS of food. * With today’s modern technology, it takes just eighteen minutes to spray those 31,000 kernels with herbicides and pesticides. * By the way, these sprayers have a ninety foot span! * Thirty-two percent of the United States’ corn production is exported to other countries or used to make ethanol. * Approximately fifty percent is fed to livestock. * The remaining eighteen percent is used to make high fructose corn syrup, used in sodas, breads, cookies, and pastries. * Zero percent — that’s right, none — of industrialized corn can be eaten off the cob. Due to its genetically modified properties, commodity corn must first be processed before it can be consumed. * Sixty percent of cows’ diet in the United States consists of corn. The other forty percent? A variety of grains, including wheat. * Seventy percent of all antibiotics in the United States are consumed by cattle. One of King Corn’s focus is the consequences of utilizing a large portion of the country’s corn surplus to feed livestock. Fifty years ago, cows in the United States, like others around the world, subsisted on a simple, natural diet of grass and hay. In the early 1970s, though, when farmers were instructed to produce as much food as possible — resulting in a tremendous surplus of corn — cows’ diets radically changed. Gone was grass, in was corn (often mixed in with grains also foreign to cows’ diets until that time). Livestock breeders couldn’t be happier about this change. On a corn diet, cows fatten up a lot quicker, especially when cruelly crowded in feedlots, literally unable to walk. In other words? More cow to sell in less time. From a cow’s standpoint, however, the glass isn’t so full. 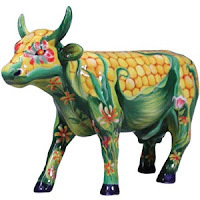 Cow’s digestive systems are unable to handle corn and grains. Consequently, after a year of said diet (after 12 months, most are then sent to slaughterhouses), many cows get sick. A sick cow, though, is useless to a breeder. So, as “insurance”, antibiotics are mixed into their food supply. It is believed that antibiotic residue in the food we eat is partly responsible for developing antibiotic resistance in our own bodies! Even with this precaution, many cows become sick to the point where their blood pH drops, often resulting in a life-threatening condition known as acidosis. In fact, corn is so harmful to cows that if they were to eat it continuously for 18 months, their systems would go into overload, resulting in death. According to King Corn, everyone who has eaten conventional beef in the United States over the past thirty years has eaten purely corn-fed meat. This is especially troubling considering that the fat ratio in the United States’ diet is completely imbalanced. Ideally, we want our Omega 6 (an essential fatty acid found in vegetable oils, nuts, seeds, and plants) and Omega 3 (another essential fatty acid, found in walnuts, flax, salmon, tuna) ratio to be approximately 4 to 1. Current estimates place ratios anywhere from 15:1 to 20:1! What’s wrong with that? These disproportionate numbers greatly increase our risk of developing inflammatory diseases, including Crohn’s disease, rheumatoid arthritis, and degenerative joint disease. As if that weren’t bad enough, beef from corn-fed cows contains as much as five times more unhealthy saturated fat than that of grass-fed cattle! You can now see why having our food supply so saturated with corn — which provides Omega 6 fatty acids — is a problem. Consider a fast-food meal of a hamburger, fries, and soda. You are getting corn in your hamburger, both in the corn-fed beef and the bun (which contains high-fructose corn syrup). The soda? If it’s not diet, you’re getting your share of high-fructose corn syrup as well. Next time you’re at the supermarket, read the ingredient lists of the foods you place in your cart, keeping track of how many items contain high-fructose corn syrup, corn starch, corn oil, corn gluten, hydrolyzed corn, etc. I have a feeling you’ll be surprised. I caught King Corn earlier today — and highly, HIGHLY recommend you do too. I was lucky enough to be at a special screening which was followed by a question and answer session with one of the two documentary’s stars as well as the director and editor of the project (my question, and their answer, will be posted separately). The movie begins with friends Ian Cheney and Curt Ellis getting a strand of their respective hairs tested in a lab. The result? A rather large amount of carbon in their bodies. The culprit? Corn. It is made clear from the beginning that the problem is not corn on the cob. Rather, it’s all the ubiquitous corn byproducts in the United States’ food supply. In just 88 minutes, we watch as Curtis and Ian travel from Boston to Greene, Iowa (where, coincidentally, both their great grandfathers’ once lived) in early January of this year to plant their own acre of corn. As the months roll on, the agricultural dynamic duo begins to ponder — and investigate — where the genetically modified corn they are growing — none of which is edible in its natural state — will end up. The answers aren’t pretty: cattle feedlots, soda, bread, frying oil, cookies, soups, pasta sauce…. the list goes on! Sprinkled throughout the documentary is commentary from Michael Pollan (who I asked to participate in our “Speaking With…” section a few months back but declined via his assistant, due to too many commitments) and Harvard’s Walter Willett. Both experts make it clear that the surplus of corn in the United States is behind many severe problems, ranging from rising obesity rates to the deplorable downfall of small farms. Rather than write a long post covering the important issues — and dishing out some eyebrow-raising statistics shown — in the film, I will blog about King Corn throughout the week to give it the coverage I feel it deserves. I just received Trudeau’s new book about weight loss. I haven’t read but a few pages and decided to research this guy on the net and came across yours. Trudeau makes a statement at the beginning that discounts embellishments in his story. Also, I already think the government, the ever-so-caring USDA and FDA- whom are supposed to be protected [sic] Americans from bad stuff- allows companies to put in additives. Regarding artificial sweetners [sic], overprocessed and nutrient dificient [sic] foods—they are so readily available AND CHEAP. Folks buy and consume, get fat, stay fat, are unhealthy and thus go to doctors who prescribe the other manipulated and deceiving racket of manufactured synthetic drugs. What is being pumped into everybody= nothing healthy and pure that’s for sure. So there’s a guy out there that sees this and decides to enterprise on it. Yeah! We all should be scratching our heads going ‘why didn’t I think of that’…..oh but then those Doritos wouldn’t be wonderful a thing anymore. Long live prepackaged overprocessed nutrient dificient colon clogging wholesome goodness—with a side of carcenigens for ya!!!! GOVEG.COM PETA.COM – meet your meat……..watch this and tell me something. Boy, where should I start? Well, firstly, I’m sorry to hear you spent money on Kevin Trudeau’s new weight loss book. I haven’t had the opportunity to peruse it myself, so I’m not sure what statements he makes in the introduction that discount embellishments in his story. Considering his track record, though, I would take most of what he says with many grains of salt. There are many issues here worth thinking about. For one — the subsidizing of certain crops certainly does not help improve this country’s food supply. Corn is extremely cheap, so it’s no surprise that high fructose corn syrup is in so many foods. This is a topic well beyond the scope of this blog, and one which I myself am currently not too clear on, but those of you interested in food politics and the current state of farming should DEFINITELY, without a doubt, read an excellent guide to the farm bill called Food Fight. Onto the United States Department of Agriculture and the Food & Drug Administration. Yes, they have their flaws (I think they often approve some artificial ingredients and components without hesitation), but this idea that they are conspiring to make us fat by adding secret ingredients to foods is far-fetched and completely misses another pressing issue — our food environment. The reason behind the obesity crisis in the United States is simple — not only are we eating more (due to increasing portion sizes), we are also in an environment that provides constant access to food. It’s a clear fact that visual reminders of food trigger a hunger response. It doesn’t take a genius to realize that when you are driving down a road or walking down a street littered with food advertisements, fast food places, and the encouragement of eating on the run, you are much more likely to overeat. Additionally, as discussed in Issue 5 of the Small Bites newsletter, the problem with large portion is that, as research has shown, the more food we have in front of us, the more we eat, even if physiologically our hunger has been satisfied. Kevin Trudeau has not discovered anything. The only thing he enterprised on was the opportunity to make unfounded claims (i.e. : bouncing up and down on a trampoline helps beat depression) and make a quick buck. As I have pointed out on this blog, the suggestions in many of his books are laughable (there is more to come — over the next few days, I’ll reveal more of his “weight loss secrets”, one of which, I kid you not, is to take deep breaths). It is obvious the man knows nothing about nutrition. He thinks he is a weight loss genius because he tells people to eat a mere 800 calories a day (yet contradicts himself by recommending that people eat as many apples all day as they want and chow down on burgers and fries as long as they are organic). Disagreeing with Kevin Trudeau does not mean I think Doritos are healthy or a ‘good food’. And, as far as your PETA links, I am not sure what the relevance is. I have not eaten beef, pork, or poultry since 1998 out of personal choice due to my disagreement with the conditions that exist in the animal processing/farming industry, and while diets rich in meat products and lacking in fruits, vegetables, and whole grains increase the risk of certain diseases, I certainly do not think people who occasionally eat meat are endangering their health. Thanks for writing and allowing me to bring these issues to light. Upon first entering the expo at the 2007 American Dietetic Association’s Food & Nutrition Conference and Expo, my eyes were immediately drawn to the golden arches shining brightly in the center of the 300,000 square foot room. The McDonald’s booth was an interesting one. I’m not sure they were aware that this was a nutrition, rather than environmental, conference. Their main two selling points were their sustainable farming practices and the fact that “many of their pre-cut apple slices” come from local farms. Keep in mind that having sustainable farming practices does not make a company one whose farming is sustainable (in the same way that eating one vegetable a day does not make one a vegetarian). And while the fact that many of their apple slices are local, their booth was missing the point. People don’t go to McDonald’s for apple slices. They mainly go for two things — beef and fries. So, why not look into organic meats, or at least local and organic potatoes, if they are trying to wave the “we’re green” flag (especially since livestock puts a tremendous stain on our environment)? Besides, when was the last time you saw McDonald’s advertising their apple slices to the average consumer? In my opinion, Mickey D’s was ignoring the obese pink elephant in the room — the food they offer. A fast-food establishment is never going to be “healthy”. In fact, I don’t think that should be their ultimate goal. Hey, I’ll be the first to admit — their fries are delicious and I like to have them once every two or three months. That being said, it’s frustrating not seeing McDonald’s make the kind of changes that could truly have positive nutritional consequences. For instance, make all hamburgers with whole wheat buns and all breakfast sandwiches with whole grain English muffins. People aren’t going to tell the difference because no one goes to McDonald’s for the “delicious bread” — people care about what’s in between those two buns. It wouldn’ t hurt anyone to get an extra six grams of fiber with whatever hamburger they eat. Anyone who has had a Boca burger can attest to the fact that it resembles the taste and texture of meat. So, why not partner up with Boca — or try to emulate their patties — and see what happens, company of the Golden Arches? Again, don’t get me wrong. McDonald’s should not try to disguise the fact that they are a fast-food joint specializing in burgers and fries. However, I can’t help but believe many of their attempts at healthy offerings were shoddy, advertised poorly, and done simply to undo years of public scrutiny. Although I can’t discredit their attempts at working with local farmers, there’s bigger fish to fry, er, bake. Every action we take affects our environment — including the foods we choose to eat. One way to get optimal nutrition while helping our planet is by purchasing produce from a local farmer’s market. Not only will you be getting food grown within a proximal geographic location (meaning it has not been sitting in a truck for days, slowly losing more and more vitamins and minerals), you will also be reducing the amount of fuel needed to get your produce. For instance, if you are living in New York City, you could very well go to a supermarket and get commercial strawberries (shipped in from Mexico) or you could head to your local farmer’s market for some delicious ones grown in your same state. If you live in Seattle, you could buy commercial apples flown in from Argentina — 10,000 miles away — or ones brought in from just a few miles away. After eating local produce, you might find it hard to buy that same item from a standard supermarket again. Flavors are more intense, and things spoil a lot slower (remember, when you buy most produce from a grocery store, you’re getting it as much as two weeks after it was picked at a farm). I find that eating locally 100% of the time becomes very limiting. For instance, avocados do not grow on the East coast of the United States, but that does not mean I will never eat them. Similarly, oranges in the United States come from two places: California and Florida. The key is to buy locally when the option is presented to you. Feel free to enjoy a Florida orange in Iowa, but try to get your own state’s crops from a local farmer. Your body — and the environment — will be grateful for the help.